The blog has been quiet lately due to a fairly overactive social and family life, but I’m returning with a vengeance and tonnes of motivation to write about all the food I’ve been eating/cooking over these past weeks. I could write for days about all the beautiful food I ate in Lanazarote. Equally, I could wax lyrical about the summer produce starting to make its way into my kitchen (mmm…Wexford strawberries…). Instead, this will be just a quick post inspired by the fabulous weather that has FINALLY descended upon Dublin – that’s right, it’s BBQ season! If there’s one thing that I have learned after ten years in Ireland, it’s that Dublin is the most fabulous city in the world on sunny days. Sidewalk cafes and parks are fully of smiley, happy people, beer gardens are bursting, and everyone you meet is either eating an ice cream or en route to the shop to buy one – it’s almost impossible to be in a bad mood. Unfortunately, these legendary days don’t happen as often as we’d like, so I’ve also learned that you have to make the most of them. If there is sun, one must BBQ. This was the inspiration behind last night’s dinner – that, and a little competition some of my co-workers and I have going on at work called Operation Slim Jim. It’s not quite as structured as Biggest Loser or Operation Transformation, but a few of us who are trying to shift a few pounds or generally be a bit fitter have banded together for a bit of group motivation. There are formal weigh-ins and friendly eyebrows raised when cake and crisps make their way into the office, and a little bit of Wednesday morning smugness if one achieves the weekly goal – all good. Trying to marry my deep-seeded desire to BBQ and newfound healthy eating regime seemed challenging until lightening struck while I wandered through the produce section of Fallon & Byrne – enter the Portobello Mushroom. Since I’m trying to shed a few pounds, but don’t really believe in the idea of dieting, I’ve been trying to follow Michael Pollan’s creed, ‘Eat food. Not too much. Mostly plants.’ A few years ago, I could not have imagined a BBQ without a big, juicy burger or a fat Toulouse sausage (and I still love them both). With a little creativity and a good green grocer, however, it’s easy to put together a super fast, veggie friendly meal. This one is my own creation…my husband and I were too famished to take pre-feast photos – oops – so you’ll just have to trust me – they looked good! About an hour before you plan to start cooking, place the smashed garlic clove into 2T. of olive oil and leave to infuse. 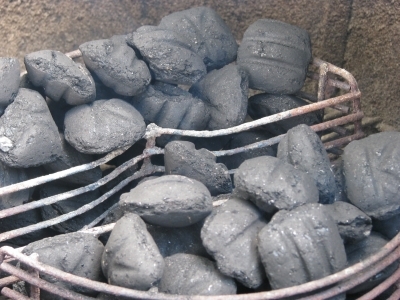 If you’re BBQing, give your grill time to heat too about 220, or, if it’s charcoal, until your coals are white hot and smoking. If you’re cooking indoors, use a very hot grill pan, or turn your oven grill up to 220. 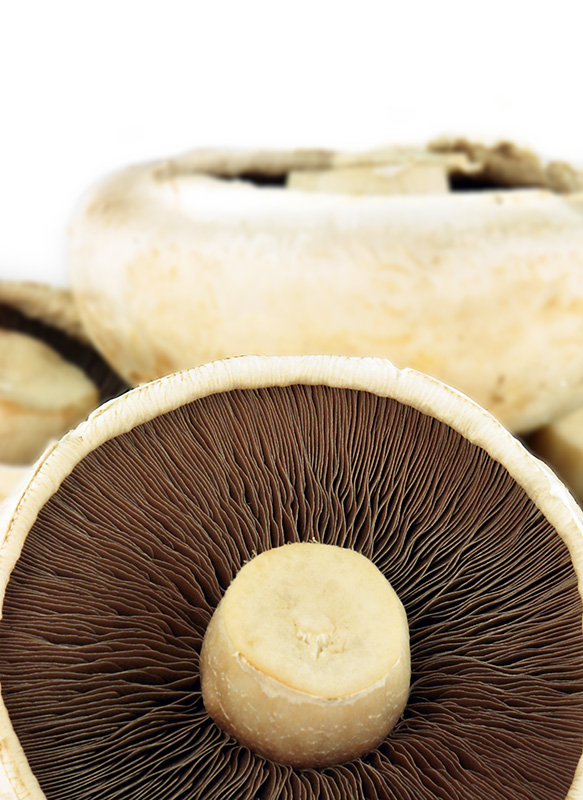 Brush the mushrooms all over with the garlicky oil, season with salt and pepper, and place on your heat source for 4-5 minutes each side. When flipping the mushrooms, pop the tomato slices on as well. While the vegetables are cooking, mix a simple dressing with the remaining 3T. of olive oil, lemon juice, dried oregano, and salt and pepper to taste. Toss the dressing with the rockett and set aside. Toast your burger buns and take everything off the heat. Place your mushrooms on the buns upside down, fill them with the crumbled feta before layering on the grilled tomato slices and topping with rocket. Pop the on bun top and and voila! Obviously this works just as well as a veggie stack without the bun, but I like the juicy burger feel of it. I served this with grilled asparagus tips, but sweet potato wedges or corn on the cob with chili and lime butter would also be winning accompaniments.